Surrounded by more wilderness than anywhere else in the continental United States, the Idaho Rocky Mountain Ranch is the ideal home base to explore the adventure-rich, largely undiscovered, majestic Idaho Rocky Mountains – without the crowds. The Sawtooth National Recreation Area is an outdoor enthusiast’s wonderland. 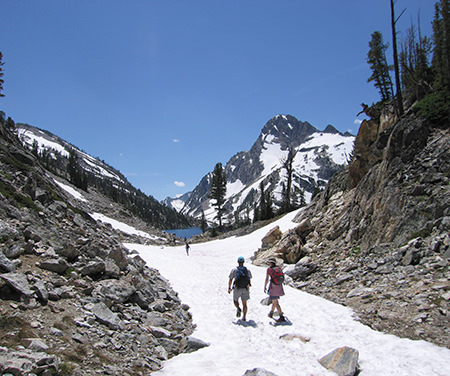 The SNRA’s 756,000 acres are home to 40 peaks over 10,000 feet, more than 300 high alpine lakes and 750 miles of trails. 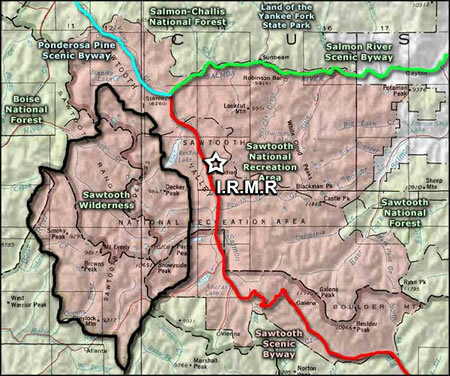 The SNRA encompasses the Sawtooth Wilderness, Sawtooth Mountains, backcountry of the White Cloud Mountains, portions of the Boulder and Smoky Mountains, as well as the headwaters of the Salmon, Payette, Boise, and Big Wood Rivers. It’s further surrounded by the Frank Church Wilderness and Salmon-Challis and Boise National Forests. With this vast playground background, you’re free to venture forth and enjoy: scenic, uncrowded trails for hiking, horseback riding and mountain biking; climbing in pristine country; fishing in lakes, streams and rivers; white water rafting, scenic river floats, canoeing and other water sports; and, of course Instagram-worthy photo opps galore! Three scenic byways leading through the region allow you also to explore memorable sites in Idaho’s Rockies by car – as a day trip from the Ranch, as you travel for your visit, or en route to a shopping day in nearby Sun Valley.